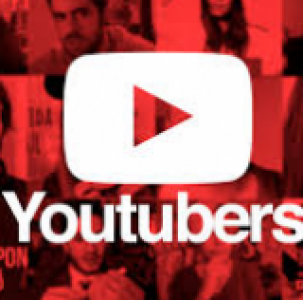 Behind The YouTuber – Page 2 – Giving you the history of famous YouTubers. This is a blog post for my class. This is nothing related to my other blog post. So…….. yeah. Top 10 ways to deal with internet negativity. Ignore it. On the internet negativity is inevitable. But if you ignore it then people will probably get bored and stop. They can also see it as your reaction. Either way, people on the internet will criticize you constructively or negatively. Block them. On Social media sites, there is a block button….. depending on the site. People that cyberbully, or are just randomly negative you should probably block online. If you do they will probably become someone else’s problemConfront them. Confront the problem. People can be confronted. It may be scary too but if you really need to then you should confront the problem. If it is something like harassment or threats then you really really need to say something. Stop it. People that are negative online can also be your friends. Your friends don’t control you and you can not be their friend at any point in time. Even if you want to be their friend you shouldn’t. But that’s your choice. Don’t give them attention. If someone pokes fun at you or generally is rude you shouldn’t get mad or say something back. The reason I say that is because it’s fueling them because its what they want. The more of a reaction you give the more they will tease you. Don’t take it personally. If someone says something about you don’t take it personally. If that person doesn’t know you personally they can’t prove anything that they say about you. You know what you are and what you did and they know who they are and what they did. Don’t take it seriously. Not everything that everyone says about you is serious. People who say “negative” things don’t always mean it. A lot of people make bad jokes and you should try to figure out whos joking and whos not. Don’t say anything back. Replying to their rude commentary only acts as a reaction. The more that you reply to their comments the more negative they will be. They think it’s funny knowing that they’ll get a reaction out of you. Don’t start anything. If you’re not rude to someone they probably won’t be rude to you. Making a joke that they take seriously can also start this. Be careful about who you joke about. Make sure it not about you. Over the internet as I’ve stated before you’ll get some negativity. Sometimes it isn’t about you. People on YouTube and more react to other people and laugh that doesn’t mean they’re trying to be negative. People on other social media sites can make a post joking about you but not trying to be rude. This blog post will be different than all my other blog post, though it will still consist of YouTubers. Today, I will be talking about some YouTube drama between the YouTubers PewDiePie (click here for my blog post on PewDiePie) and another YouTuber, T-Series, who I will soon talk about in a future blog. Right now, PewDiePie is the number one most subscribed channel on YouTube with a total of 67+ subscribers. PewDiePie isn’t the only one anymore because T-Series also has 67+ subscribers as of now. Right now, people are fighting for PewDiePie so he can remain number one and so T-Series won’t become the most popular. T-Series is rapidly growing in size, popularity, and hatred. PewDiePie is such an original YouTuber and we all know him as the most popular. Like most people, we don’t want things to change and in this case, we don’t want PewDiePie to stop being on top. Right now we don’t have much information on this ongoing battle, but we do know that a fellow YouTuber and fan of PewDiePie, Mr.Beast 6000, is paying for billboards and advertisements to persuade people to subscribe to PewDiePie. Mr.Beast has been on radio podcast and even on his local news channels telling people to subscribe to PewDiePie. If you live in Los Angeles and you see one of these billboards, thank Mr.Beast 6000 and consider subscribing to PewDiePie. Both channels are rapidly growing and you should check daily for another update on this drama. If you check here, on Google, or on YouTube, and if you want to get involved or not, you should still consider subscribing to PewDiePie. Seán William McLoughlin more famously known as Jacksepticeye was born February 7, 1990, in Dublin, Ireland. On February 24, 2007, Jack made his first YouTube account that made him become famously known as Jackseptickeye. Jack first posted gaming lets play videos. In 2013 another YouTuber named PewDiePie (also a YouTuber I’ve talked about) mentioned Jack in one of his videos. Being mentioned in one of PewDiePie’s videos helped Jack very much starting off, and this really showed when Jack went from 2,500 subscribers to 15,000 subscribers in just four days. Sometime in July of 2014, Jack had 57 million views in total on his channel. Around that same time, Jack had gained 800,000 subscribers. In February of 2015, Jack had a total of 1 billion views and 3.2 million subscribers. In January of 2016, Jack had been one of the top featured YouTubers on PewDiePie’s network website Revelmode. Jack was a featured guest star on PewDiePie’s YouTube Red show “Scare PewDiePie”, but the season was canceled due to the controversy surrounding PewDiePie. In June of 2017, Polaris (a Disney division) is going to give Jack a show on Disney XD called “Player Select”. In January of 2018, Jack announced that he would be making exclusive content on Twitch because of a multi-year deal with Disney. Tyler Blevins more famously known as Ninja or NinjasHyper was born on June 5 in Detroit Michigan but was moved to the Chicago suburbs. In 2009 Tyler professionally started to play Halo 3 and played on multiple tournament teams such as Cloud 9, Renegades, Team Liquid, and Luminosity Gaming in 2017. In 2011 Tyler became a full-time Twitch streamer under the username “Ninja”. Ninja became known for playing BR (Battle Royale) Games. If you don’t you know what a Battle Royale game is the think of something like The Hunger Games. Tyler started playing H1Z1, then PUBG (PlayerUnknown’s BattleGrounds), then know what he’s most famously known for playing Fortnite Battle Royale. In September of 2017 Ninja got 500’000 followers on Twitch. Ninja has played with a variety of people on Fortnite like fellow Twitch streamers, YouTubers, and even musicians. As of now, Ninja has 11+ million followers on Twitch and hopefully, Tyler’s Twitch channel will keep on growing. Ninja does have a YouTube channel but I kind of wanted to switch things up so I did this. Matthew Robert Patrick or more famously known as MatPat was born November 15, 1986. Matthew made his first YouTube account in 2009 as “MatthewPatrick13”. Matthew’s first videos were musical performances and auditions. On April 18, 2011, he started his first and as of now most successful channel (The Game Theorist) where he analyzes video games and tries to solve theories with science. Along with his channel The Game Theorist he created his “show” Game Theory. Game Theory’s episodes cover Nintendo characters and games such as Minecraft, FNAF (Five Nights at Freddy’s), Call Of Duty, Pokemon, and many more. In 2014 Matthew created his second and ironically his second most popular channel Film Theory. Matthew uploaded his first video to Film Theory on June 2, 2015. Like Game Theory, Film Theory takes something very unrealistic or a very commonly asked question and tries to solve it with science. Film Theory has 6+ million subscribers as of now and like Game Theory keeps encountering more questions that he will try his best to answer. Although Film Theory tries to put logic into all films they mostly focus on the genre of SCI-FI, think of Star Wars or the MCU (Marvel Cinematic Universe). Last but not least we have Matthew’s third and final channel GTLive. GTLive (Game Theory Live) is just Matthew and his wife Stephanie playing video games Live. GTLive was created August 26, 2015. Matthew and Stephanie usually start their live streams at 4 pm PST. Hopefully Game Theory, Film Theory, and GTLive all continue and live on for a very long time. Mark Edward Fischbach aka Markiplier was born June 28, 1989, in Honolulu, Hawaii. Mark made his first YouTube account on March 6, 2012, and posted his first video on April 4, 2012. Mark made his first ever “Let’s Play” series for the horror game Amnesia. After Mark had played multiple game series such as Penumbra and Dead Space YouTube decided to take Marks ad revenue (earnings from sponsorship advertisements). After that Mark lost sponsorship companies interest and people stopped wanting to sponsor him. After losing all ad revenue Mark decided to create a new account called MarkiplierGAME, which was created on May 26, 2012. In 2014 Mark’s channel was listed on a site called New Media Rockstars in the top 100 list as number 61. The same year Mark announced that he was moving to Los Angeles California. In 2014 Mark and fellow YouTuber Jenna Mae both were guest on Jimmy Kimmel Live. In 2015, Mark’s channel was number six on a list of 20 celebrities that were the most influential to teenagers. In late 2015 mark had reached 10 million subscribers on YouTube. As of now, Mark has 21+ million subscribers and we all hope that Marks channel will keep on growing.